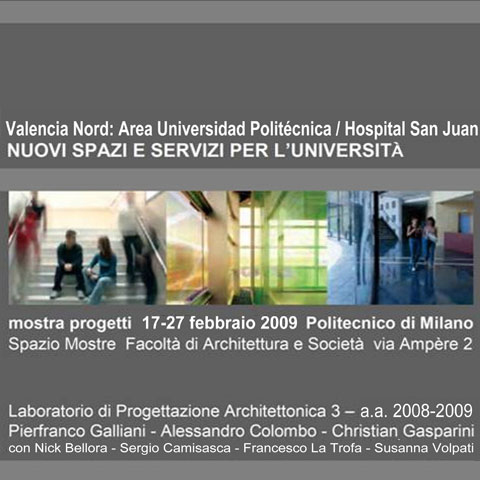 Christian Gasparini graduates in architecture at the Politecnico of Milan, where he teaches and works as researcher of urban and architectural planning since 1998 and as contract professor since 2007, dedicating his activity to the architectural and urban transformation plans of sea ports and railway stations, cultural centers such as media libraries and libraries, university and temporary residences in Italy and Europe. 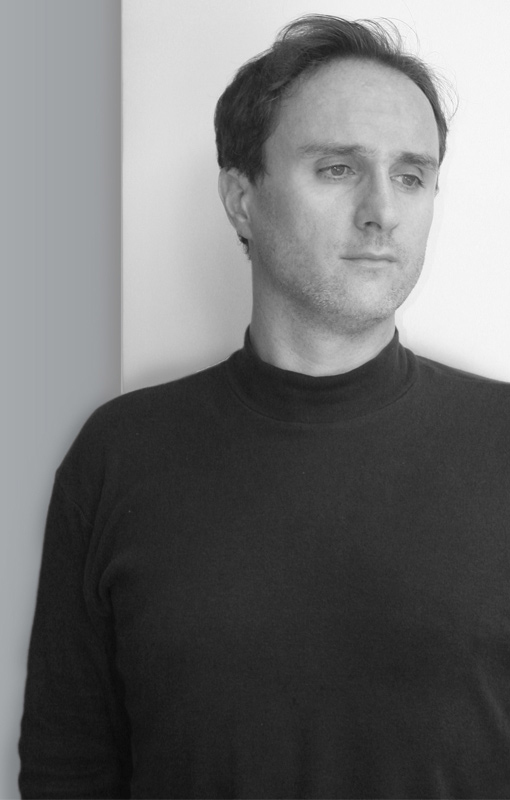 Expert in bioclimatic planning with a merit mentioning in 1999 by the University of Bologna, he worked in the year 2000 in Chile, being selected for the international workshop ‘Valparaiso del chile: ideas y proyectos por el casco historico’, that followed the election of Valparaiso to the status of humanity heritage by Unesco. 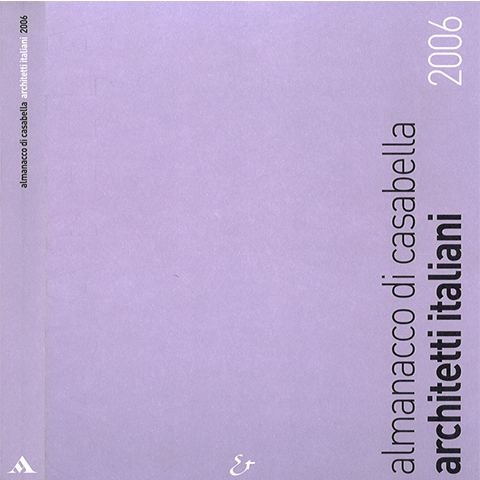 In 2010 he is invited designer at the international workshop Palermo: Neighborhoods suburbs and contemporary city (Scientific Research Miur-Prin 2007). 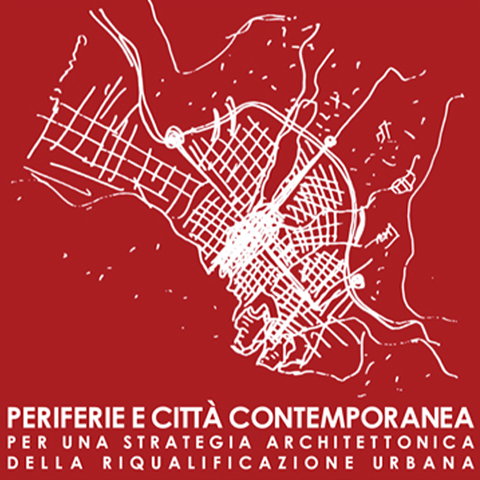 Borgo Ulivia neighborhood masterplan is published in the book edited by the Department of History and Project of the Palermo University. 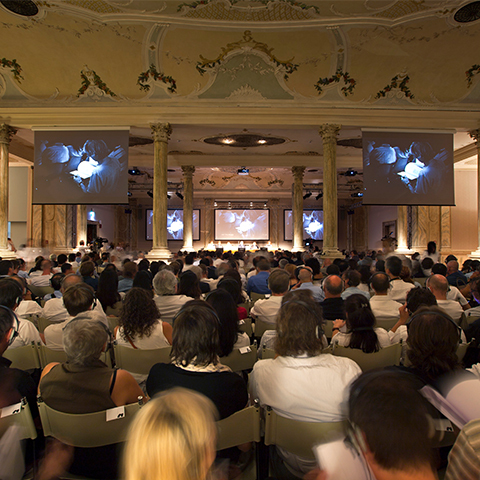 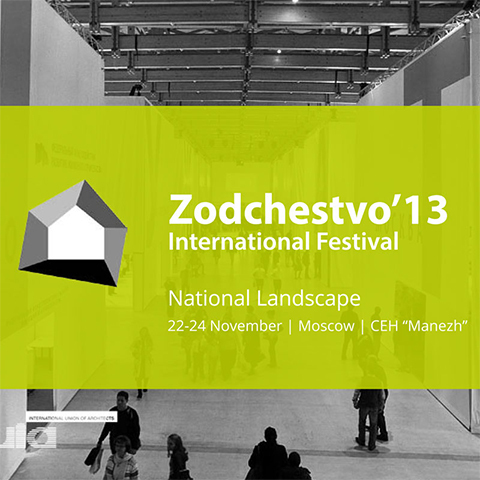 In 2011 he is lecturer at the Second World Congress of the Light, in Venice Biennale, with a contribution entitled "Light as a diaphragm between material and immaterial" together with: Karla Menten, Barbara Balestrieri, Maurice Asso, David Chipperfield, Caruso- Ghafour, Rodolfo Dordoni, Claudio La Viola, Gabriele Lelli, Manfred Draxl, Winy Mass, Vittorio Longheu, Felipe Lozano, Simona Pieri, Barozzi-Veiga, Kengo Kuma. 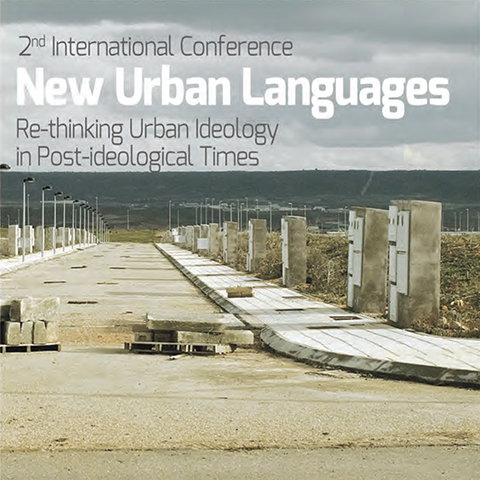 In 2014 he is invited lecturer at the international conference New Urban Languages: Re-thinking Urban Ideology in Post-ideological Times in Escuela Tecnica Superior de Arquitectura Madrid. 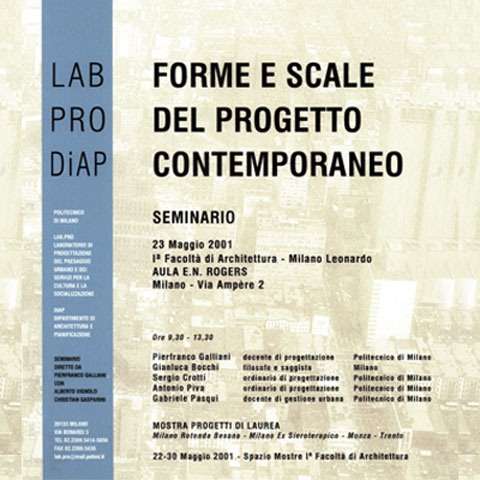 In 2018 he published "Smart Cities vs Smart Territories", a sort of debate with Elisabetta Bello, Maria Teresa Gabardi and Nunziante Mastrolia on the idea of smart cities: two different positions, two way of thinking. 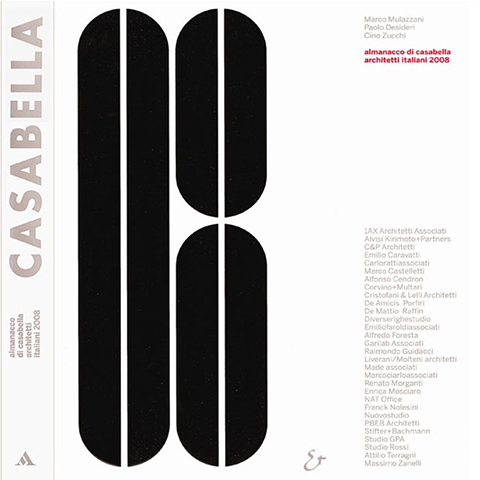 from l'aquila earthquake territories to italian heritage landscape, to world infinite richness and multiplicity (Licosia edizioni). 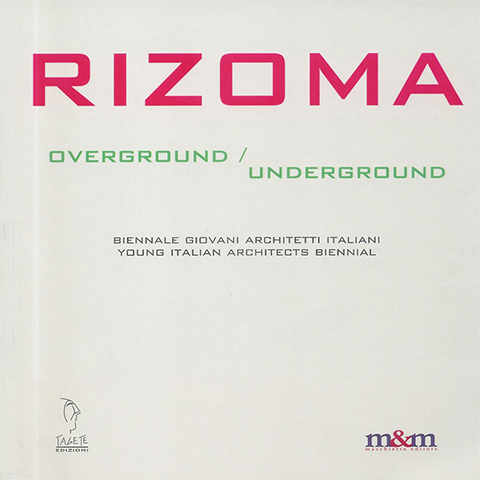 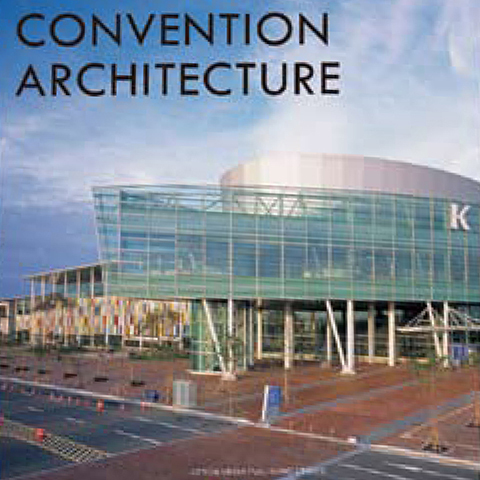 In 2019 published "il progetto come connessione - architettura città paesaggio". 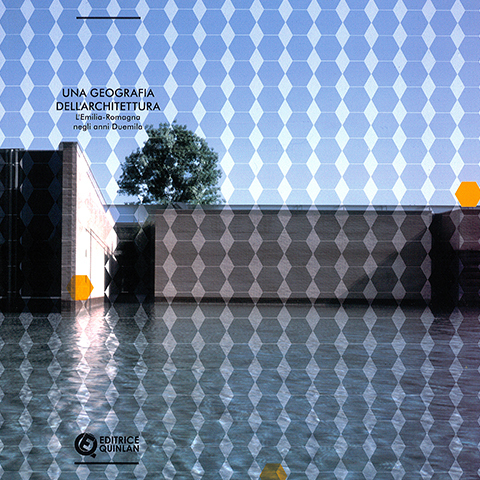 The book is a research on the architectural fundamentals, in which the figure of the link/connection is the plan principle of architecture, city and landscape. 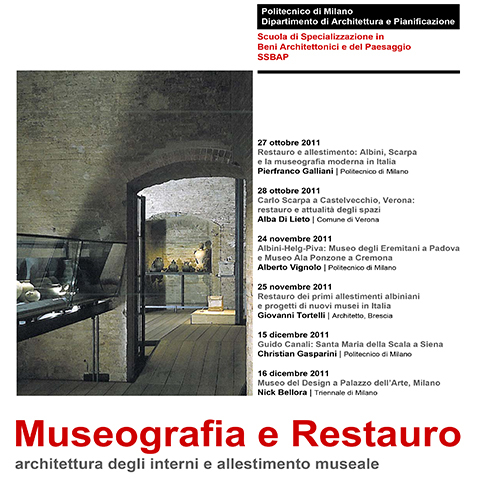 (Maggioli Editore). 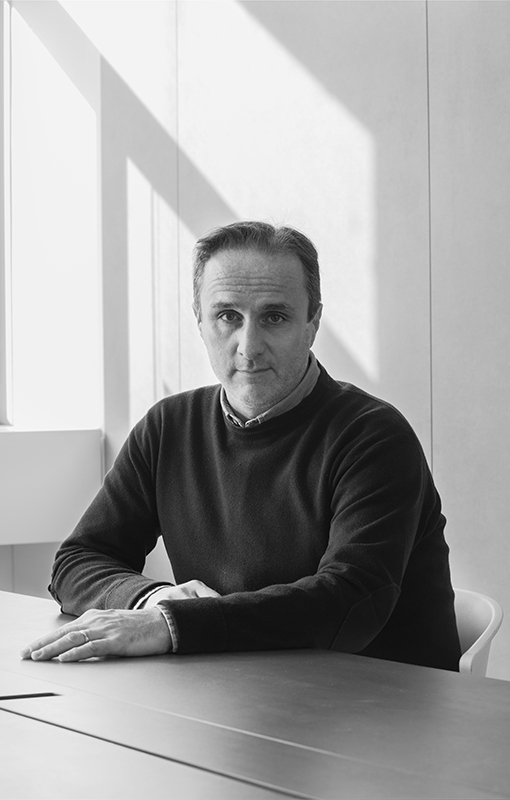 In 2018 he founded a new architecture and landscape book series named Terzo Luogo and published by Licosia.